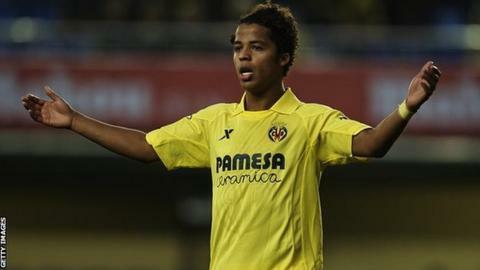 Mexico striker Giovani dos Santos believes Cameroon are the biggest threat to his side's chances of qualifying from World Cup Group A.
Dos Santos rates Brazil as favourites to win the group with his side, Croatia and Cameroon set to fight for second. "Clearly, for us, it is a strong group and our opening game is against a dangerous opponent in Cameroon," Dos Santos told BBC Sport. "The way you start will have a major impact on how you progress." Mexico meet the African side on 13 June in Natal before taking on the tournament hosts four days later in Fortaleza. "We know what to expect from Cameroon because they are physical, unpredictable and have a very good team," added Dos Santos, who had spells playing for Barcelona and Tottenham. "They have established players like Samuel Eto'o, who needs no introduction. He can decide a game on his own and others around him are going to be well motivated. "Alex Song is also playing at the top level with Barcelona, so I think it won't be easy. "We just have to be extremely careful playing against them. Of course, every one says Brazil are the clear favourites, but I do not think any of the other teams are favourites to be second." Four-time African champions Cameroon will have their work cut out against experienced Mexico who will be making their 15th appearance at a Fifa World Cup- a tally bettered only by Argentina, Brazil, Germany and Italy. While Mexico have bowed out at the last-16 stage in the last five tournaments, Cameroon, who are making their seventh World Cup appearances in Brazil - an African record - have only won one match in four editions since reaching the quarter-finals in 1990.